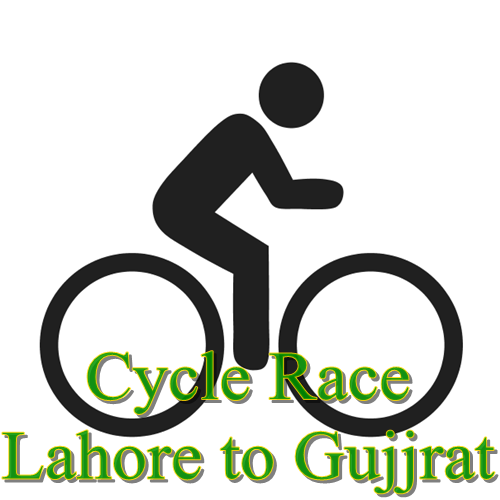 Pakistan Cycling Federation is organizing a cycle race from Lahore to Gujrat on Sunday 02 September, 2012. The Race will start from Punjab Stadium Lahore at 0900hrs. This national level cycling event is being organized by Pakistan Cycling Federation in collaboration with Punjab Cycling Association and other other PCF affiliated cycling associations. All arrangements have been made to make this sports event successful. The idea of this race is to celebrate Independence of Pakistan. This race was initially planned on 14 August, 2012 but was postponed due to Ramadan. Cyclists will travel on GT Road (National Highway N5) and pass through from all the cities and towns between Lahore and Gujrat including Gujranwala, Wazirabad, Rahwali, Muridke, Kamonke and Shahdara. Total distance is about 130km. Saeed Iqbal Khan, Vice President of Pakistan Railway Sports Board will grace the event as Chief Guest and also flag off the cyclists. Top six position holders will be awarded with handsome cash prizes.